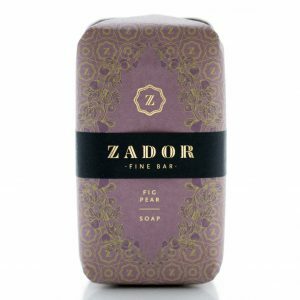 Zador soaps do not contain any petroleum derivatives, animal products, and are free of parabens, preservatives and artificial colors. The almond oil in the soap contains a high concentration of linoleic and oleic acid, protein, vitamins A, B1, B2, B6, E and D, which ensure extra moisturizing effect even for the most sensitive skin. 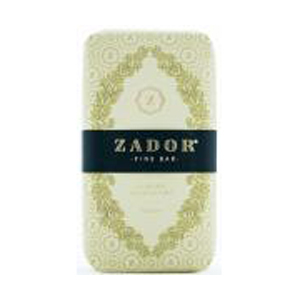 The ZADOR Almond-Clementine soap has a skin soothing effect, and gives the skin soft touch and freshness. Its quality almond oil content stimulates the skin’s collagen and elastin production. The rich almond oil content soothes the skin and helps to restore its natural beauty. How? A typical feature of the almond oil is that, due to its unsaturated fatty acid content, it forms a protective layer on the skin, protecting thereby its hydro-lipid coat from the external impacts. 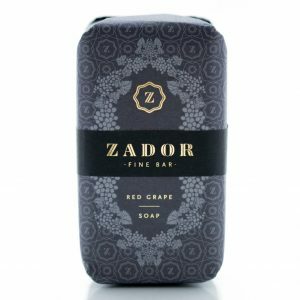 This beautifully packaged piece of art is individually hand wrapped and manufactured in the EU just like the rest of the ZADOR collection. 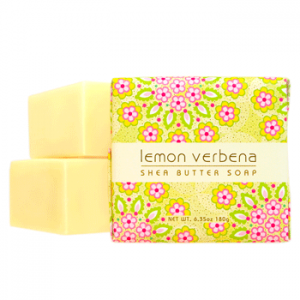 We poured our love into each and every soap bar to help bring out your inner goddess. Enjoy this lovely treat!